Fast turn around and great quality! Do you use trucks in your business to perform specific tasks such as making deliveries, transporting raw material, and other items? 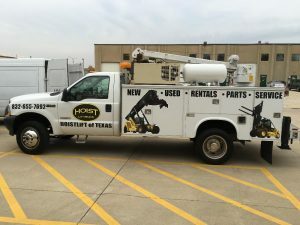 Your vehicles can be used to maximize your marketing opportunities through tailored truck wraps and graphic designs, that display contact info, logo, or brand messages. When you take your marketing on the road, you will experience an increase in brand visibility allowing you to capitalize on missed opportunities. If you take into consideration the number of people using any particular route, each person you pass by in a nondescript vehicle is a missed opportunity to inform potential clients of your products or services. 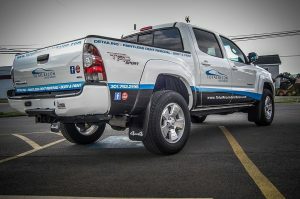 A fleet of trademarked trucks can be used to spread your message to potential customers, and build brand recognition. 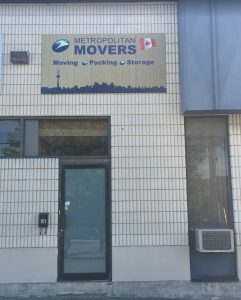 Call Made 2 Measure Signworks today at (647) 699-7654 for a Free Consultation with a Truck Wrap Specialist! The same road you use every day to and from work with an ordinary truck, looking very similar to others around it does little to garner any attention. 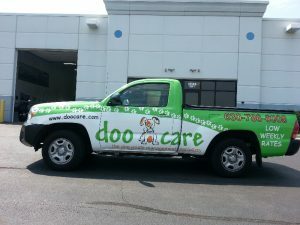 Now, imagine that you’re now driving in a vehicle with a custom truck wrap from Made 2 Measure Signworks. You will find that people will start approaching you, your phone starts ringing more often, and people seem to recognize your brand. That is because truck wraps not only offer marketing benefits but also provide consistent branding efforts. Research has proven that people typically travel the same road to work every day. Giving you an opportunity to make an impact on the same people every day, whether they realize it or not. If a person is carrying a huge sign every day, you will probably remember them, and you will most likely remember the corner they are always on. This also applies to vehicles wraps, turning your vehicle into a highly recognized and remembered business promotional tool that informs potential customers about your company! Every business is different from each other, even when in the same market. This means that the marketing message needs to be different. As such, you will need a company that provides an attractive and professional vehicle wrap that meet your needs. These wraps need to convey information that can be seen from a distance and go hand-in-hand with your vehicle design. Our skilled truck wrap design teams are in a position to deliver perfect graphics, wraps, and magnets for your automotive. We will also help you choose the right product for you. Many businesses use different vehicle types to perform various functions. As such, we can create vehicle wrap for any vehicle from ATVs to RVs. We can also create a consistent design and modify them to fit all types of vehicles; helping you achieve a consistent branding. 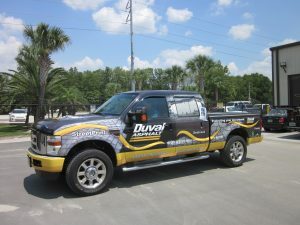 Apart from marketing benefits, truck wraps also offer protection benefits. The vinyl used to create vehicle wraps are durable and protect against external elements that affect the vehicle’s paint. These external elements include Harsh weather (UV light, heavy rain, and other weather events), natural weathering, and road wear. Your work vehicles is a long-term investment for your business and taking good care of them is key to the success of that investment. Professional installation is paramount not only to increase the impactfulness but offer the level of protection you need to make your vehicle a successful marketing tool. 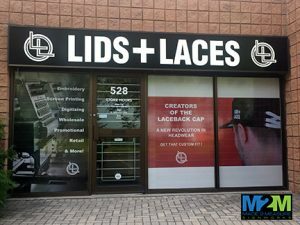 Our experienced installation team will handle the whole process starting with preparation to successful wrap installation. We will be there with you, to assist you through the whole process, which begins with a free consultation, installation, maintenance, and vehicle wrap removal. Our team is not only trained, but proficient in design, manufacture, and installation. Giving you an attractive sign that is durable and designed to last for the life of your vehicle. Do you have an existing damaged vehicle wrap? It does not matter if we initially did the work, we are happy to repair the work to keep your business moving! Our goal is to help protect your investment as well as increase your brand visibility. 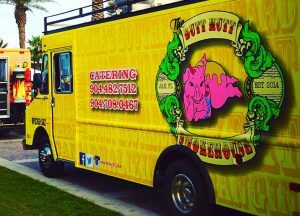 To keep your business growing, you need to attract new clients or customers and a high-quality and durable truck wrap can help you accomplish your goals. 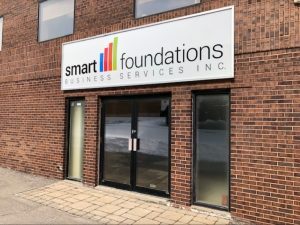 Made 2 Measure Signworks is your go-to for all of your attractive and durable vehicle wraps; and other business-related signage. Great service and design work. Highly recommend. Geoff and the Made 2 Measure team made it easy.